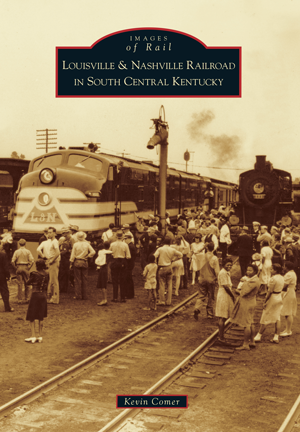 Author Kevin Comer has long held an interest in the Louisville and Nashville Railroad, including Bowling Green, Kentucky, history. His hometown railroad became the subject for his second local history book. Comer supports historic preservation and serves on the board of directors at the Historic Rail Park and Train Museum, located in Bowling Green's restored 1925 Louisville and Nashville Passenger Station.